TLJ Daily E-Mail Alert No. 2,003, October 15, 2009. Thursday, October 15, 2009, Alert No. 2,003. 10/7. Rep. Tammy Baldwin (D-WI) introduced HR 3745 [LOC | WW], the "Community Access Preservation (CAP) Act of 2009", a bill to amend the Communications Act regarding public, educational, and government (PEG) channels mandates. PEG channels once performed a unique function, and possessed a relevance, that are diminishing with the advent of alternative internet technologies and adoption of broadband internet access. Nevertheless, Rep. Baldwin (at right) praises the work of PEG channel operators, and urges legislative changes to protect them. One of her concerns is that with the entrance of telcos into the market for providing multi-channel video programming, states have enacted legislation transferring authority from ocal franchising authorities (LFAs) to state bodies. Rep. Baldwin issued a release that states that "Historically, the funding for and broadcast of PEG channels have been negotiated as part of local franchise agreements between cable companies and local franchise authorities. However, twenty-three states have enacted new telecommunication laws that establish state-level franchise authorities. As a result of these recent state-wide agreements and a lack of adequate federal protection, some PEG channels now face significant broadcast and funding obstacles." Making cable television-related laws and regulations applicable to all landline video providers. This bill would amend 47 U.S.C. § 531, which pertains to "Cable channels for public, educational, or governmental use", by adding a new subsection titled "Equivalence". The bill would allow LFAs to enforce the new subsection. Also, the LFAs would be permitted to impose "additional requirements with respect to the quality, accessibility, functionality, placement, and provision of channel capacity designated" for PEG use. (C) provide at least the number of channels for public, educational, or governmental use that it was providing as of May 31, 2005." This bill would also mandate that cable operators carry signals for PEG use "from the point of origin of such signals to subscribers without material degradation and without altering or removing content". It would also amend the definition of "cable service" in 47 U.S.C. S 522. It currently means "(A) the one-way transmission to subscribers of (i) video programming, or (2) other programming service; and (B) subscriber interaction, if any, which is required for the selection or use of such video programming or other programming service". The bill would insert, at the beginning, the phrase "regardless of the technology or transmission protocol used in the provision of service". 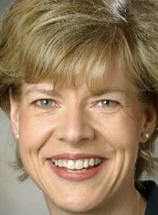 See also, release of the Alliance for Community Media (ACM) praising Rep. Baldwin and this bill. The bill was referred to the House Commerce Committee (HCC). 10/14. The Senate Finance Committee (SFC) announced that it will hold a hearing on October 20, 2009, to mark up S 1631 [LOC | WW], the "Customs Facilitation and Trade Enforcement Reauthorization Act of 2009". This is a huge and wide ranging bill. Chapter 3 is titled "Import-Related Protection of Intellectual Property Rights". Chapter 3 of this bill would create at the Department of Homeland Security (DHS) a "National Intellectual Property Rights Coordination Center". It would also create a "confidential" customs watch list of persons who "have a history of attempting to import goods that infringe intellectual property rights". It would also provide for a parallel system of registration of music and movie copyrights at the DHS's Customs and Border Protection (CBP). CBP would then treat these registrations as though they were Copyright Office (CO) registrations. Specifically, the bill states that "a person who submits an application to the Copyright Office ... for registration of a copyright ... may request" the CBP "to record the application of the person for registration of the copyright" and "to enforce the copyright for which the person submitted the application to the same extent and in the same manner as if the copyright was registered with the Copyright Office". However, this would only apply to "recordings, motion pictures, or similar works". Books, software, and electronic games would not be covered by this dual registration system. The bill would also require the CBP, CO and U.S. Patent and Trademark Office (USPTO) to study further changes to the copyright and trademark registration processes. The bill would also amend CBP procedure for seizure of any technology, product, service, device, component that may be used to circumvent technological measures that effectively control access to a work for which the person has a copyright that is registered" with either the CO or CBP. The bill would permit the CBP to share such seized circumvention devices with affected copyright holders. The bill also addresses personnel and IPR related training at the DHS, and provides that the DHS "shall provide technical assistance to competent law enforcement authorities of foreign governments to enhance the ability of such authorities to enforce intellectual property rights". The bill would also create a program to educate persons leaving and entering the U.S. on the legal, economic, and public health and safety implications of brining goods that infringe intellectual property rights into the U.S. The bill does not reference protection of patent or trade secret related rights. The bill is also silent regarding the ongoing problem of abusive and unwarranted CBP searches, seizures, and theft of travelers' laptop computers and other portable electronic devices. See, story titled "DHS/CBP Supervisor Embezzles Laptop from Airline Passenger" in TLJ Daily E-Mail Alert No. 1,963, June 30, 2009. There are also stand along bills that address this topic. See for example, HR 239 [LOC | WW], the "Securing our Borders and our Data Act of 2009", and HR 1726 [LOC | WW], the "Border Security Search Accountability Act of 2009". This hearing will be held at 10:00 AM on October 20, 2009, in Room 215 of the Dirksen Building. The witnesses will include Rick Cotton of NBC Universal. See, SFC notice. 10/13. The Copyright Office (CO) and U.S. Patent and Trademark Office (USPTO) published a notice in the Federal Register that announces, describes, and sets the comments deadlines for, a notice of inquiry (NOI) regarding a treaty proposed by the nations of Brazil, Ecuador and Paraguay that would require signing nations to create an exemption to copyright infringement, create an exemption to anti-circumvention provisions of statutes such as the DMCA, and create an orphan works defense, among other things. Some proponents of this proposed treaty argue that it would facilitate access of blind and other visually disabled persons to books. However, it is a wide ranging proposal that also relates to works other than books, conditions other than visual impairment, and issues unrelated to disability access. The CO and USPTO seek comments on the May 25-29, 2009, draft [PDF], proposed to the World Intellectual Property Organization's (WIPO) Standing Committee on Copyright and Related Rights (SCCR) by Brazil, Ecuador, and Paraguay. Initial comments are due by November 13, 2009. Reply comments are due on or before December 4, 2009. See also, hyperlinks to comments submitted to the CO and USPTO in advance of the May 25-29 meeting of the SCCR. Treaty Proponents. Brazil, Ecuador, and Paraguay are notoriously delinquent in the performance of their obligations to protect and enforce of intellectual property rights (IPR) under the Agreement on Trade-Related Aspects of Intellectual Property Rights (TRIPS) [33 pages in PDF]. Brazil and Ecuador remain on the Office of the U.S. Trade Representative's (OUSTR) Section 301 Watch List. Section 301 is the statutory means by which the U.S. asserts its international trade rights, including its rights under World Trade Organization (WTO) TRIPS agreement. In particular, under the "Special 301" provisions of the Trade Act of 1974, the OUSTR identifies trading partners that deny adequate and effective protection of intellectual property or deny fair and equitable market access to U.S. artists and industries that rely upon intellectual property protection. The Special 301 provisions are codified at 19 U.S.C. § 2411 et seq. Paraguay is subject to Section 306 Monitoring. See, the OUSTR's 2009 annual Special 301 report. The OUSTR report states that "overall IPR enforcement in Ecuador remains a serious problem, resulting in high piracy levels in the software, publishing, recording, and film industries. ... The United States urges Ecuador to strengthen its IPR regime and to enhance its IPR enforcement efforts and will monitor Ecuador’s efforts to address these concerns." The OUSTR report states that "Paraguay continues to have problems providing effective IPR protection due to porous borders, ineffective prosecutions of IPR infringers, and the lack of deterrent-level sentences in court cases being issued." The OUSTR report maintains Brazil on the Watch List, and urges it to "strengthen its IPR enforcement legislation, take more vigorous action to address book and Internet piracy, and accede to and implement the WIPO Internet Treaties." U.S. Law. The U.S., and some other nations, already have in place laws and processes that facilitate access by visually impaired persons to copyrighted works. For example, 17 U.S.C. § 121 pertains to "Limitations on exclusive rights: Reproduction for blind or other people with disabilities". It provides for limitations on the exclusive rights of copyright for reproduction and distribution "in specialized formats exclusively for use by blind or other persons with disabilities". Also, every three years the CO is required by statute to commence a proceeding to designate exemptions to the anti-circumvention provisions of the Digital Millennium Copyright Act (DMCA). These exemptions are codified at 37 C.F.R. § 201.40. The CO is currently conducting its fourth such review. See, story titled "Copyright Office Announces 4th Triennial Review of DMCA Exemptions" in TLJ Daily E-Mail Alert No. 1,839, October 7, 2008. This proceeding is CO Docket No. RM 2008-8. The CO's deadline to release the latest round of exemptions is October 27, 2009. The American Federation for the Blind (AFB) submitted a comment that proposes an exemption for literary works' distributed in ebook format when all existing ebook editions of the work, including digital text editions made available by authorized entities, contain access controls that prevent the enabling either of the ebook's read aloud function or of screen readers that render the text into a specialized format. This would extend the current exemption, which remains in effect through October 27, 2009. In the third triennial review, completed in 2006, the CO created an exemption for "Literary works distributed in ebook format when all existing ebook editions of the work (including digital text editions made available by authorized entities) contain access controls that prevent the enabling either of the book's read-aloud function or of screen readers that render the text into a specialized format." Moreover, the existence of these laws and processes, and other motivations, incent copyright based companies to work with visually impaired persons, and the groups that represent them, "to take steps to meet the goal of making software and digital content products and services accessible to the blind and visually impaired". See, April 27, 2009, comment of the Software and Information Industry Association (SIIA) submitted to the CO and USPTO in advance of the May 25-29, 2009, SCCR meeting. Similarly, the American Association of Publishers (AAP) wrote in its April 21, 2009, comment that "its member publishers have long cooperated with advocacy groups and federal and state efforts to make accessible materials available for individuals with print disabilities". Treaty: Works Covered. Print works are the primary focus of providing access to visually impaired persons. Large print, Braille, audio books, and audio readers provide access to such persons. However, this treaty goes beyond print works, and print disabilities. Is also covers literary works, "musical" works, "films", and "databases". Treaty: Orphan Works. The subject of orphan works has no relevance disability. Nevertheless, it is in this draft treaty. It states that "In cases where right owners cannot be identified or do not respond to notices, liability for uses of works shall not exceed 24 months from the date of use." Although, this language is unclear. It could be construed as a limitation on the time period for brining a suit for infringement. Or, it could be construed as a limitation on the time period for which damages can be calculated. Treaty: Disability. This is an inexpertly drafted treaty. It is particularly vague on the meaning of "disability". Two key terms are "disability" and "accessible format". The treaty uses the term "disability" as a term of art. It includes persons who are blind or visually disabled. But it also includes "any other disability". However, it defines "accessible format" in a manner that refers only to visual disabilities. Also, the treaty's coverage of non-print works suggests an intent to cover non-print disabilities. The draft treaty contains the following language: "Contracting Parties shall extend the provisions of this Treaty to persons with any other disability who, due to that disability, need an accessible format of a type that could be made under Article 4 in order to access a copyright work to substantially the same degree as a person without a disability". This leaves uncertainty as to whether the treaty encompasses deafness, and hence, requires an exemption to copyright for distributing textual copies of audio works. There is also uncertainty as to whether mental impairment is covered, and hence, whether the treaty would require an exemption to copyright for distributing abridged works. Moreover, nothing in the treaty expressly excludes the assertion of language as a disability. For, example, might Brazil enact implementing legislation that allows a Brazilian to assert an exemption to copyright for translating books into Portuguese, or adding subtitles or dubbed voices to copyrighted movies? Treaty: Exemption to Exclusive Rights, Permitting Circumvention, and Impairing the Obligation of Contracts. This draft treaty would require signing nations to modify their laws in several areas, including (1) creating exemptions to the exclusive rights of copyright holders, (2) creating an exception to anti-circumvention laws, (3) impairing the obligation of contracts. First, Article 4 of the treaty requires the creation of an exemption to the exclusive rights of copyright holders, such as those codified at 17 U.S.C. § 106. Second, Article 6 requires an exemption to anti-circumvention provisions, such as those codified at 17 U.S.C. § 1201. It provides, in full, that "Contracting parties shall ensure that beneficiaries of the exception provided by Article 4 have the means to enjoy the exception where technological protection measures have been applied to a work, including when necessary the right to circumvent the technological protection measure so as to render the work accessible." This sentence is vaguely worded. But, it is vastly broader than the CO's regulatory exemption, which allows circumvention of "Literary works distributed in ebook", and then only when all ebook editions "prevent the enabling either of the book's read-aloud function or of screen readers that render the text into a specialized format". The treaty would also cover circumvention of movies and music. It would also allow circumvention of literary works other than ebooks, such as software. Article 4(c) also provides, in more vaguely worded language, for an exception to the exclusive rights of copyright "for profit-entities and shall be extended to permit commercial rental of copies in an accessible format, if ... the activity is undertaken on a for-profit basis, but only to the extent that those uses fall within the normal exceptions and limitations to exclusive rights that are permitted without remuneration to the owners of copyright". One of these exceptions is fair use. Moreover, to the extent that the treaty's exception to anti-circumvention refers back to Article 4, this may be construed as requiring the creation of a fair use exception to the anti-circumvention provisions of the DMCA. Rep. Rick Boucher (D-VA) tried unsuccessfully over several Congresses to enact this through legislation. The movie and music industries vehemently opposed such legislation. However, the treaty also provides that for Article 4(c) copying and distribution, there must be a compulsory licensing and compensation regime. This means "adequate remuneration", but limited in order to enable sales "at prices that are affordable" in "developing countries". Third, the treaty would require impairing the obligation of contracts. It provides that "Any contractual provisions contrary to the exception provided in Article 4 shall be null and void." Is this prospective only, or also retrospective? The treaty does not address this. Treaty: Trade. Finally, the treaty provides that nations must allow the import of works made in another nation pursuant to laws implementing this treaty. It states, "Provided that all the relevant conditions of Article 4 are complied with ... the following shall be permitted without the authorization of the owner of copyright ... the export to another country of any version of a work or copies of the work that any person or organisation in one country is entitled to possess or make under Article 4". TLJ Analysis. This is a draft treaty, which if ratified by nations in its current form, and implemented by legislation, would substantially diminish the ability of a wide range of copyright industries to effectively protect their works from free access by non-disabled persons. The opposition of copyright based industries may be expected. Countries in which these copyright based industries are located have reason not to sign any such treaty. The TLJ Daily E-Mail Alert No. 2,002, October 13, 2009, contained incorrect hyperlinks for HR 3745 [LOC | WW], the "Community Access Preservation (CAP) Act of 2009". There was no issue of the TLJ Daily E-Mail Alert on Wednesday, October 14, 2009. The House will meet at 10:00 AM for legislative business. It will vote on the conference report on HR 2892 [LOC | WW], the "Department of Homeland Security Appropriations Act, 2010". See, Rep. Hoyer's schedule for the week of October 12, and schedule for October 15. The Senate will meet at 9:30 AM. It will resume consideration of HR 3183 [LOC | WW], the "Energy and Water Development and Related Agencies Appropriations Act, 2010". 8:30 - 11:00 AM. The Phoenix Center for Advanced Legal & Economic Public Policy Studies will host an event titled "Internet Use and Depression Among the Elderly". The speakers will be Chris Baker (AARP), Daniel Wilson (National Caucus and Center on Black Aged), Anthony Sudler (Alzheimer's Association), and John Alger (SeniorNet). Breakfast will be served. See, notice. RSVP to 202-274-0235 or info at phoenix-center dot org. Location: University Club, 1135 16th St., NW. 9:00 - 10:30 AM. The Technology Policy Institute (TPI) will host an event titled "The Boundaries of Government in a Digital Age: Should the Government Prepare Personal Income Tax Returns?" The speakers will be Ian Liddell-Granger (UK Member of Parliament), Joseph Cordes (George Washington University), William Frenzel (Brookings Institution), William Gale (Brookings Institution), and Arlene Holen (TPI). Breakfast will be served. See, notice. Location: National Press Club, First Amendment Lounge, 13th Floor, 529 14th St. NW. 10:00 AM. The House Commerce Committee (HCC) will meet to mark up HR 2994 [LOC | WW], the "Satellite Home Viewer Reauthorization Act", HR 1147 [LOC | WW], the "Local Community Radio Act Of 2009", HR 3633 [LOC | WW], the "Public Safety Interoperable Communications Grant Program Extension Act Of 2009". See, notice. Location: Room 2123, Rayburn Building. 10:00 AM. The Senate Judiciary Committee (SJC) will hold an executive business meeting. The agenda again includes consideration of HR 985 [LOC | WW] and S 448 [LOC | WW], both titled the "Free Flow of Information Act of 2009", and S 379 [LOC | WW], the "Performance Rights Act". The SJC will also consider four U.S. District Court nominees: Jacqueline Nguyen (CDCal), Edward Chen (NDCal), Dolly Gee (CDCal), and Richard Seeborg (NDCal). The SJC rarely follows is published agendas. See, notice. Location: Room 226, Dirksen Building. 2:30 PM. The Senate Commerce Committee (SCC) will hold a hearing on the nomination of Patrick Gallagher to be Director of the National Institute of Standards and Technology (NIST). See, notice. Location: Room 253, Russell Building. 6:00 - 8:30 PM. The Public Knowledge (PK) will host its annual reception and awards event. RSVP to pk at publicknowledge dot org or 202-518-0020. Location: 144 Constitution Ave., NW. Day one of a three day convention hosted by the American Intellectual Property Law Association (AIPLA) titled "2009 Annual Meeting". Location: Marriott Wardman Park. Day two of a two day event hosted by the Department of Defense titled "2009 DoD Spectrum Symposium". See, agenda. Location: Hyatt Regency Hotel (Crystal City), Arlington, VA. Effective date of most of the Federal Communications Commission's (FCC) rules changes regarding its C-band and Ku-band licensing and service rules for Earth Stations on Board Vessels (ESVs). The FCC adopted its order [45 pages in PDF] on July 30, 2009. It is FCC 09-63 in IB Docket No. 02-10. See, notice in the Federal Register, September 15, 2009, Vol. 74, No. 177, at Pages 47100-47107. EXTENDED AGAIN, TO OCTOBER 22. Extended deadline to submit reply comments to the Federal Communications Commission (FCC) regarding its Notice of Inquiry (NOI) [23 pages in PDF] in its proceeding titled "In the Matter of Implementation of Section 6002(b) of the Omnibus Budget Reconciliation Act of 1993 (and) Annual Report and Analysis of Competitive Market Conditions With Respect to Mobile Wireless including Commercial Mobile Services". (Parentheses added.) This NOI is FCC 09-67 in WT Docket No. 09-66. The FCC adopted and released this NOI on August 27, 2009. See, notice of extension (FCC 09-72). See also, further notice of extension (DA 09-2207). EXTENDED AGAIN, TO NOVEMBER 5. Extended deadline to submit reply comments to the Federal Communications Commission (FCC) regarding its Notice of Inquiry (NOI) [23 pages in PDF] in its proceeding titled "In the Matter of Fostering Innovation and Investment in the Wireless Communications Market (and) A National Broadband Plan For Our Future". (Parentheses added.) This NOI is FCC 09-66 in GN Docket Nos. 09-157 and 09-51. The FCC adopted and released this NOI on August 27, 2009. See, notice of extension (FCC 09-73). See, further notice of extension (DA 09-2206). Rep. Hoyer's schedule for the week of October 12 states that the House will meet at 9:00 AM, but that "no votes are expected in the House". 8:30 AM - 5:00 PM. The National Science Foundation's (NSF) Advisory Committee for Computer and Information Science and Engineering will meet. See, notice in the Federal Register, September 11, 2009, Vol. 74, No. 175, at Page 46797. Location: Room 1235, NSF, 4201 Wilson Blvd., Arlington, VA.
8:30 AM - 5:30 PM. The American Bar Association's (ABA) Section of Antitrust will host a conference titled "Antitrust Litigation Course: Preparing and Trying an Antitrust Case". The speakers will include Molly Boast (Deputy Assistant Attorney General for Civil Matters, DOJ's Antitrust Division) and Robert Robertson (Chief Trial Counsel, Federal Trade Commission). Prices vary. See, conference web site. Location: Hogan & Hartson, 555 13th St., NW. 9:30 AM. The U.S. Court of Appeals (DCCir) will hold oral argument in Core Communications v. FCC, App. Ct. No. 08-1365. This case pertains to intercarrier compensation for ISP bound traffic. See, FCC's brief [108 pages in PDF]. Judges Sentelle, Williams and Randolph will preside. Location: 333 Constitution Ave., NW. 12:00 NOON - 2:00 PM. The Technology Policy Institute (TPI) will host a panel discussion titled "Antitrust and the Dynamics of Competition in High-Tech Industries". The speakers will be David Evans (University of Chicago), Douglas Melamed (Wilmer Hale), Philip Weiser (DOJ Antitrust Division), Joshua Wright (George Mason University law school), Jonathan Zuck (Association for Competitive Technology), and Thomas Lenard (TPI). See, registration page. Or register by contacting Ashley Creel at 202-828-4405 or events at techpolicyinstitute dot org. Lunch will be served. Location: Room B-369, Rayburn Building, Capitol Hill. 12:00 NOON - 1:30 PM. The Federal Communications Bar Association's (FCBA) Intellectual Property Committee will host a brown bag lunch titled "The Cablevision DVR Case: What Was Decided, What's Next for VOD and Online". The speakers will include Robert Garrett (Arnold & Porter), Jim Burger (Dow Lohnes), and Dan Brenner (Hogan & Hartson). The FCBA often excludes people from its meetings. Location: Dow Lohnes, 1200 New Hampshire Ave., NW. 12:15 - 1:30 PM. The Federal Communications Bar Association's (FCBA) International Telecommunications Committee will host a brown bag lunch titled "The Role of Satellite in the National Broadband Plan". The FCBA adds that this event will address the following topics: "How does satellite broadband work? Is it a cost-effective way to cover geographic areas unserved by terrestrial broadband providers? Are there technical barriers that diminish the on-line experience? What is the timing for, and what are the capabilities of, next generation broadband satellites?" The speakers may include John Giusti (Chief of Staff to FCC Commissioner Michael Copps), Erwin Hudson (CTO of WildBlue Communications), Dean Manson (SVP/GC of Hughes Network Systems), Leo Mondale (Inmarsat), and Bob Koppel (WildBlue Communications). RSVP by October 13 to Jennifer Ullman at Jennifer dot ullman at verizon dot com. The FCBA often excludes people from its meetings. Location: Verizon, Suite 400 West, 5th Floor, 1300 I St., NW. 3:00 - 4:30 PM. The Information Technology and Innovation Foundation (ITIF) will host a panel discussion titled "Wired for Innovation". The speakers will be Rob Atkinson (ITIF) and Erik Brynjolfsson (MIT), author of the book [Amazon] titled "Wired for Innovation: How Information Technology is Reshaping the Economy". See, notice. Location: ITIF, 1101 K St., NW. Day two of a three day convention hosted by the American Intellectual Property Law Association (AIPLA) titled "2009 Annual Meeting". Location: Marriott Wardman Park. Extended deadline to submit reply comments to the Copyright Office (CO) in response to its Notice of Proposed Rulemaking (NPRM) regarding mandatory deposit of electronic works published in the U.S. and available only online. See, notice in the Federal Register, September 22, 2009, Vol. 74, No. 182, at Page 48191. Day three of a three day convention hosted by the American Intellectual Property Law Association (AIPLA) titled "2009 Annual Meeting". Location: Marriott Wardman Park. There will be no votes in the House. 12:00 NOON - 2:00 PM. The Progress & Freedom Foundation (PFF) will host a panel discussion titled "Wireless Investment, Innovation & Competition: Advance or Retreat?". The speakers will be Brett Glass (Lariat Networks), Kathleen Ham (T-Mobile USA), Thomas Hazlett (George Mason University), Ruth Milkman (Chief of the FCC's Wireless Telecommunications Bureau), Craig Moffett (Bernstein Research), Gregory Rosston (Stanford University), Wayne Leighton (Empiris LLC) and Barbara Esbin (PFF). Lunch will be served. See, notice and registration page. Location: Room 902, Hart Building. 12:15 - 1:30 PM. The Federal Communications Bar Association's (FCBA) Young Lawyers Committee will host a brown bag lunch titled "Work/Life Balance for the Working Parent". The speakers may include be Lisa Cordell (Womble Carlyle), Paige Fronabarger (Wilkinson Barker Knauer), Angela Giancarlo (Office of FCC Commissioner Robert McDowell), Tarah Grant (Hogan & Hartson), and Matt Wood (Media Access Project). For more information contact Tarah Grant at tsgrant at hhlaw dot com or Micah Caldwell at mcaldwell at fh-law dot com. Location: Hogan & Hartson, Room 13W-101, 555 13th St., NW. 12:15 - 1:45 PM. The New America Foundation (NAF) will host a discussion of the book [Amazon] "Superfusion: How China and America Became One Economy and Why the World's Prosperity Depends on It". The speakers will be Zachary Karabell (author) and Steve Clemons (NAF). See, notice. Location: NAF, Suite 400, 1899 L St., NW. 2:00 - 6:00 PM. Day one of a three day meeting of the Department of Homeland Security's (DHS) Homeland Security Information Network Advisory Committee. See, notice in the Federal Register, October 9, 2009, Vol. 74, No. 195, at Pages 52250-52251. Location: Bolger Center, 9600 Newbridge Drive, Potomac, MD. 8:30 AM - 6:00 PM. Day two of a three day meeting of the Department of Homeland Security's (DHS) Homeland Security Information Network Advisory Committee. See, notice in the Federal Register, October 9, 2009, Vol. 74, No. 195, at Pages 52250-52251. Location: Bolger Center, 9600 Newbridge Drive, Potomac, MD. 9:00 - 10:30 PM. The Information Technology and Innovation Foundation (ITIF) will host a panel discussion titled "Explaining International Mobile Commerce Leadership". The speakers will be Rob Atkinson (ITIF), Stephen Ezell (ITIF), and Pragnesh Shah (Network Solutions). See, notice. Location: ITIF, 1101 K St., NW. 9:15 AM. The Federal Communications Commission (FCC) will hold an event titled "Workshop: Broadband Accessibility for People with Disabilities II: Barriers, Opportunities and Policy Recommendations". See, FCC web page related to the drafting of a document titled "National Broadband Plan", and web page for this event. Location: FCC, Commission Meeting Room, 445 12th St., SW.
10:00 AM. The Senate Finance Committee (SFC) will hold a hearing on S 1631 [LOC | WW], the "Customs Facilitation and Trade Enforcement Reauthorization Act of 2009". See, notice. Location: Room 215, Dirksen Building. 12:00 NOON - 2:00 PM. The Department of Justice's (DOJ) Antitrust Division and the Federal Trade Commission (FTC) will host a panel discussion by audio webcast and teleconference titled "Ethics and Conflicts at the U.S. Antitrust Agencies". The speakers will be Dave Shonka (FTC Principal Deputy General Counsel), Josh Soven (Chief, Litigation I, Antitrust Division), Jan McDavid (Hogan & Hartson), and Peggy Ward (Jones Day). The price to participate ranges from $60 to $190. This event qualifies for continuing legal education (CLE) credits. See, notice. The ABA asserts that this is an ABA event. 6:00 - 10:00 PM. The National Economists Club (NEC) will host a dinner. Christina Romer (Chairman of the President's Council of Economic Advisors) will give a speech titled "The State of the U.S. Economy". Location: City Club of Washington, 555 13th St., NW. 9:00 AM - 12:00 NOON. Day three of a three day meeting of the Department of Homeland Security's (DHS) Homeland Security Information Network Advisory Committee. See, notice in the Federal Register, October 9, 2009, Vol. 74, No. 195, at Pages 52250-52251. Location: Bolger Center, 9600 Newbridge Drive, Potomac, MD. 10:30 AM. Rep. Rick Boucher (D-VA) and others will hold a news conference regarding a white spaces broadband network. Location: Room __, Rayburn Building. 2:00 PM. The Senate Judiciary Committee (SJC) will hold a hearing on the nomination of Jane Stranch to be a Judge of the U.S. Court of Appeals for the 6th Circuit. See, notice. The SJC will webcast this event. Location: Room 226, Dirksen Building. 10:00 AM - 12:00 NOON. The House Science Committee's (HSC) Subcommittee on Research and Science Education will hold a hearing titled "Engineering in K-12 Education". The HSC will webcast this event. Location: Room 2325, Rayburn Building. 10:00 AM. The Federal Communications Commission (FCC) may host an event titled "open meeting". For more information, contact Jen Howard at 202-418-0506 or jen dot howard at fcc dot gov. Location: FCC, Commission Meeting Room, 445 12th St., SW.
10:00 AM - 12:00 NOON and 2:00 - 6:00 PM. Day one of a two day meeting of the President's Council of Advisors on Science and Technology (PCAST). The agenda for October 22 includes "Role of Science and Technology in Foreign Policy and Development Assistance" and "Science, Technology, Engineering, and Mathematics (STEM) Education". The meeting is open to the public, except for an additional session with the President. See, agenda [PDF] and notice in the Federal Register, September 25, 2009, Vol. 74, No. 185, at Pages 49047-49048. Location: National Academy of Sciences, 2100 C St., NW. 11:00 AM. The Heritage Foundation will host a discussion of the book [Amazon] titled "Three Felonies a Day: How the Feds Target the Innocent". This book addresses, among other things, abusive prosecutions of journalists, exporters, politicians, and lawyers. The speakers will be Harvey Silverglate (author) and Brian Walsh (Heritage). See, notice. Location: Heritage, 214 Massachusetts Ave., NE. 1:00 - 2:30 PM. The American Bar Association (ABA) will host a panel discussion by audio webcast and teleconference titled "The Right of Publicity: From Pop Stars to Politicians". The speakers will be __. The price to participate ranges from $60 to $150. See, notice. 2:00 - 4:00 PM. The House Science Committee's (HSC) Subcommittee on Technology and Innovationi will hold a hearing titled "Cybersecurity Activities at NIST’s Information Technology Laboratory". The HSC will webcast this event. Location: Room 2318, Rayburn Building. Deadline to submit initial comments to the Federal Communications Commission's (FCC) Media Bureau (MB) regarding Cablevision Systems Corporation's request for a waiver of FCC's rules that prohibit a cable operator from encrypting a basic service tier. See, FCC's Public Notice [3 pages in PDF]. It is DA 09-2094 in MB Docket No. 09-168. EXTENDED FROM OCTOBER 15. Further extended deadline to submit reply comments to the Federal Communications Commission (FCC) regarding its Notice of Inquiry (NOI) [23 pages in PDF] in its proceeding titled "In the Matter of Implementation of Section 6002(b) of the Omnibus Budget Reconciliation Act of 1993 (and) Annual Report and Analysis of Competitive Market Conditions With Respect to Mobile Wireless including Commercial Mobile Services". (Parentheses added.) This NOI is FCC 09-67 in WT Docket No. 09-66. The FCC adopted and released this NOI on August 27, 2009. See, notice of extension (FCC 09-72). See also, further notice of extension (DA 09-2207).